Liv Amerie Gregorio performed “Everything’s Coming Up Roses" from the "Gypsy" musical. Judge Louis Walsh was totally impressed by Liv's performance, saying, "That was incredible, it really was. Such a big voice from a little girl and it was all perfect Liv." Judge Michelle Visage added, "The best voices in the world sang that song and now it is Liv who sang that song." 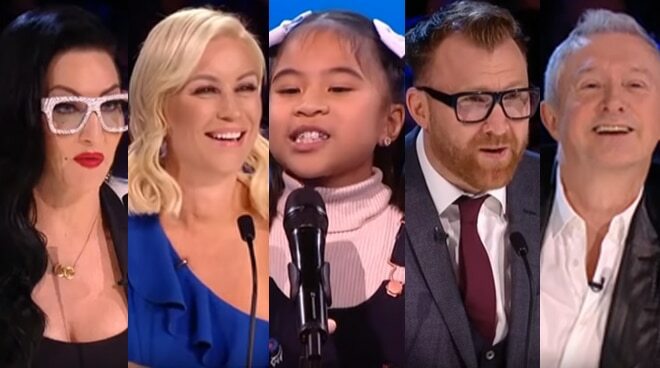 Meanwhile, judge Denise van Outen appreciated the fact that the young singer also showcased her acting skills while singing. "You've got a great voice, brilliant voice. You acted out the song as well so it was a full on performance. We all loved it," Denise van Outen said.